As a young entrepreneur, it is common to be thought-provoked and feel as if the whole world is against you. You feel people not appreciating what you have or do. A result of any interaction with colleagues makes you feel down-founded and unqualified to become part of them. Anyway, it doesn’t matter to what extent you’ve felt this lack of recognition among your colleagues due to your experience or age; you can still re-examine yourself and build up your skills to have a voice over them. Obviously, if you feel unqualified, seek passion and knowledge-base that will give you the intrepidness of facing your competitors. 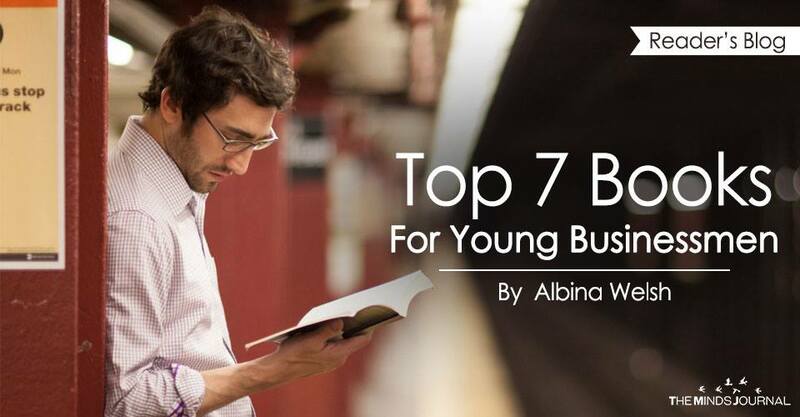 In that regard, it is recommended for you to check out these top 7 best books for young businessman’s engagement with the competitive business market. This book is marketer and serial entrepreneurship stimulator. The author published this book as a young entrepreneur denoting excellent skills that similar entrepreneurs could utilize to conquer the fear of approaching new markets. Reading this book builds up an impression to enhancing global business greatness that enumerates your voice over other entrepreneurs. Including 15 interviews with company luminaries like David Petraeus and Rus Yusupov, the literature is a high-resource for young people in business who are still reluctant of themselves to taking advantage of the market. The book concentrates on establishing a healthy relationship using the author’s own entrepreneurial experience both in young male and female dominated marketplace. The literature takes young entrepreneurs into finding strategic measures of enhancing self-confidence and establishing strong relationships that help achieve marketing goals and capabilities of inspiring other businesspeople into believing in themselves. For shy young entrepreneurs, I strongly recommend you look for this book promptly. It is obvious that the younger you are in business, the lesser financial literate and complex you are in running a well-established business effectively. This book enlightens young entrepreneurs into understanding fundamental information like profit record, investing, debt analysis and cash flow about everything you need to know about running your own business. The author manages to instill this knowledge in the motivated reader without boring them. Integrating some stories about people who previously involved themselves in business, entertainment, sports and politics, this book breaks down theories raised by this people and those that apply to young entrepreneurs today. The book also provides ideas for enhancing productivity that can be shared among others to enhance a healthy and long-lasting business. In the book, the author argues that it is not talent or intelligence that enhances the success of entrepreneurs. However, a blend of persistence and passion is among considerable significant stimulators. The book takes the reader on some days of Western Point Academy in military explaining the experience of a teacher aiming at excellence and a finalist in a spelling contest. After reading this book, young entrepreneurs will learn of effective thoughts, ambitions, and doubts of every marketing colleague. Many markers have wrongly conventionalized the principle of starting up a successful business and being influential as a young entrepreneur. Young businesspeople become confused when so much contradicting information is given to them. The author of this book breaks down mythical concepts about entrepreneurship taking the reader into real-life concepts of establishing a successful business distinguishing the ‘on the business’ and ‘in business’ aspects of marketing. The author provides a very persuasive perspective that makes the reader motivated to move on with their passion for business. Young entrepreneurs reading this book are advised not to sit in their comfort zones and build their lives on their own. This book stimulates entrepreneurs to attain an extra nudge to creating a thriving business that can be recognized globally. However, these books are very significant because they have given effective perspectives, guidance, and confidence that can be used by young businesspeople to learn from their failures and stand out high to building a world-class business. Under these circumstances, the one, who seeks for advice and a good example, can read the books thoroughly and find answers for various issues. “I have been working hard to build my business, but from the effort to effort, I only saw my business collapsing. It was only when I met a friend who recommended some books to me when I admitted the relevance of secondary source to incorporate ones understanding in marketing. After reading a few pages of the ‘A Paperboy’s Fable: The 11 Principles of Success by Deep Patel’, I was stimulated to move from my comfort zone and face the challenges in the market. Reading Agrawal’s literature also taught me of the importance of building a healthy entrepreneurial relation with more experienced marketers. When I moved into marketing, I used strategies recommended in the book ‘Originals’ which taught me basic concepts of enhancing productivity which kept my business growing from one stage to another. It is important to mention that a grasp of resourceful secondary information from books enlightens the understanding of an entrepreneur capability to cope with environmental factors, market preferences and individual boundaries that affect the expansion of the business. Speaking metaphorically to all young businessmen, books act as a GPS, so it is your motivation that will make you attain your goals having understood marketing concepts recorded in books” (“Story by Bernard Sekanyan).